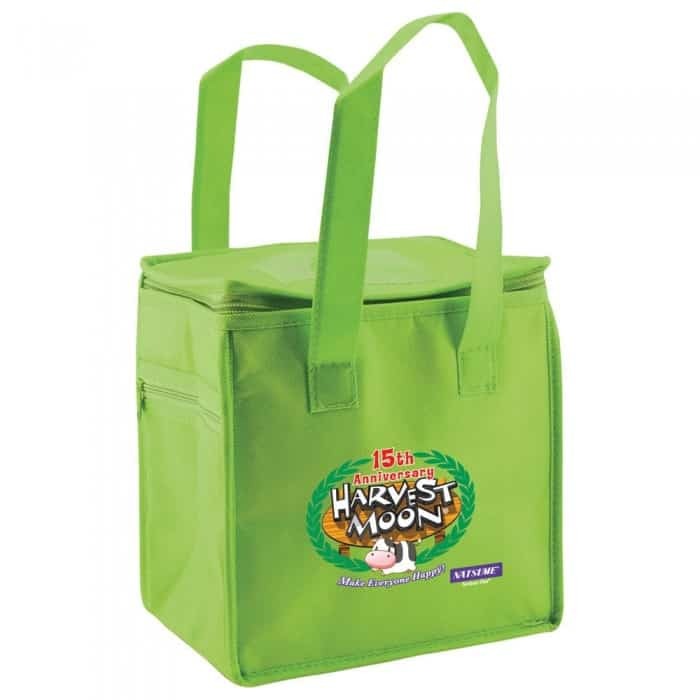 We are proud to introduce 15 exciting and vibrant new colors to our thermo lunch sack line. 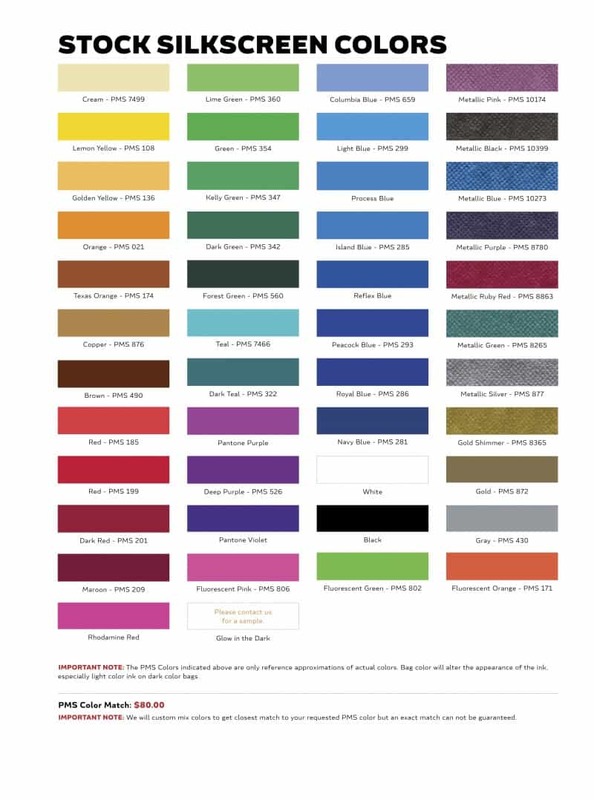 We also have 4 two tone colors, see SKU #: 2TTL0808. 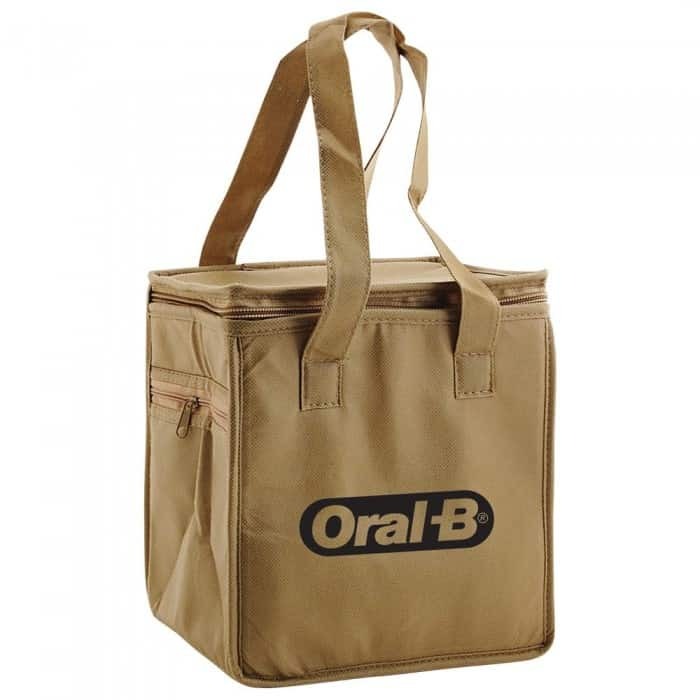 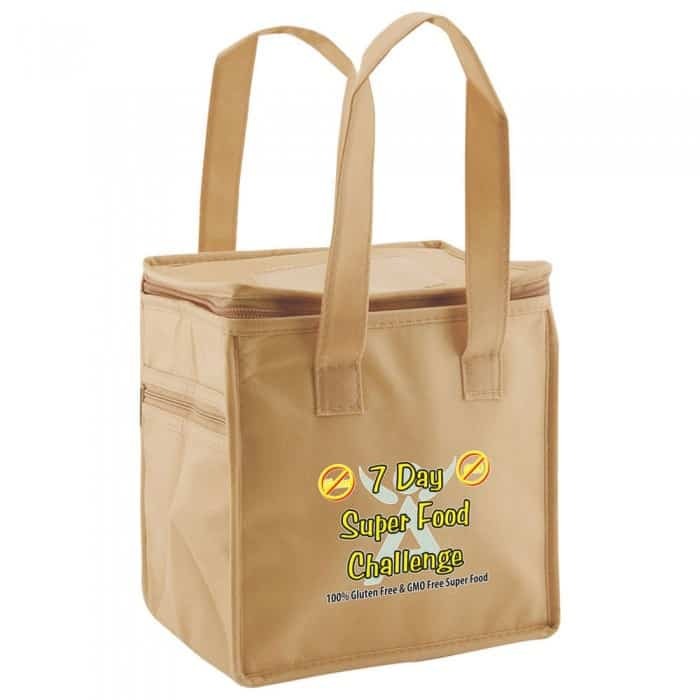 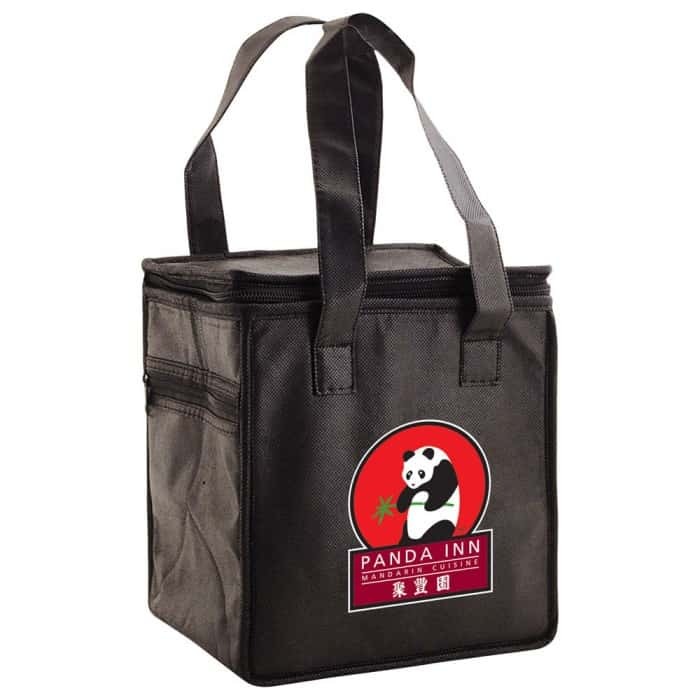 This bag will do an excellent job keeping your food items hot or cold for hours. 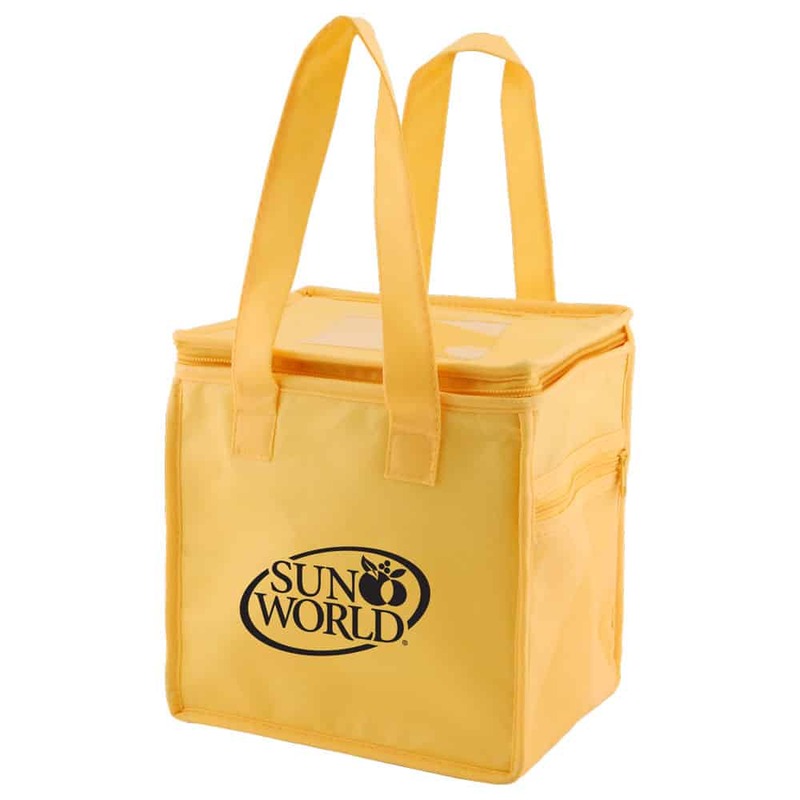 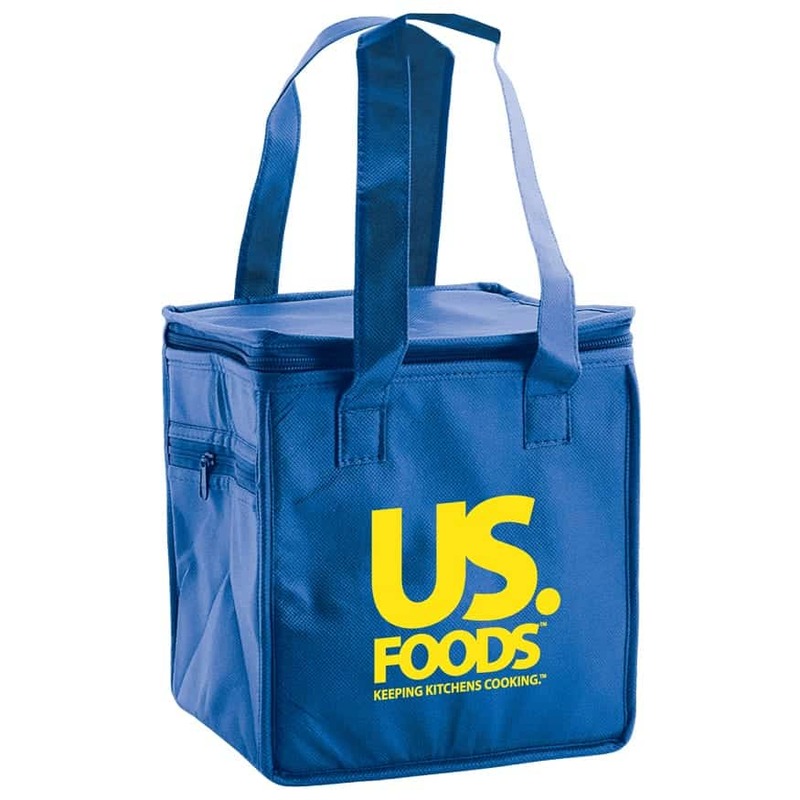 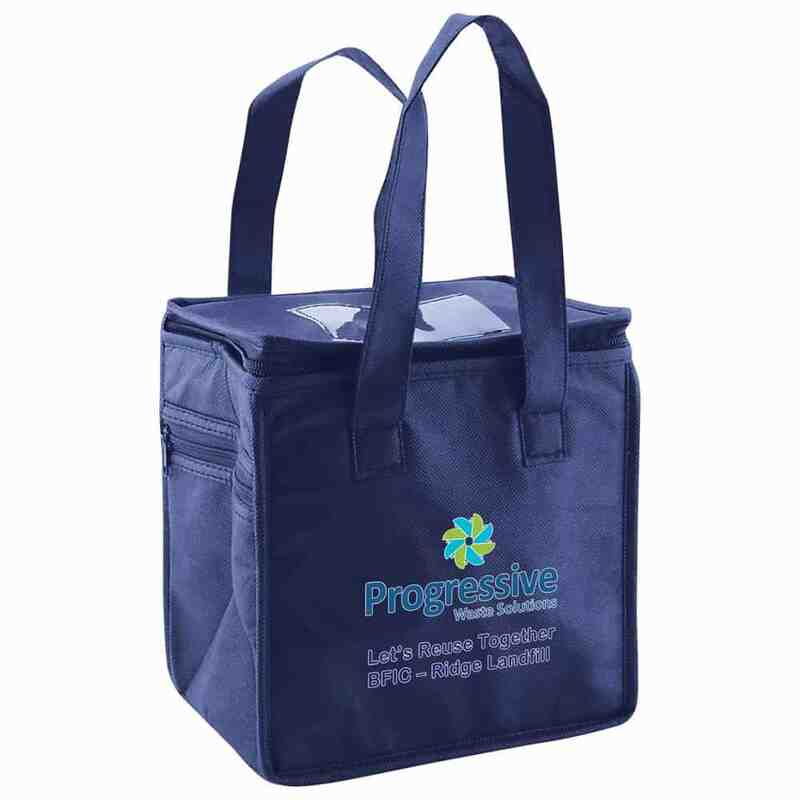 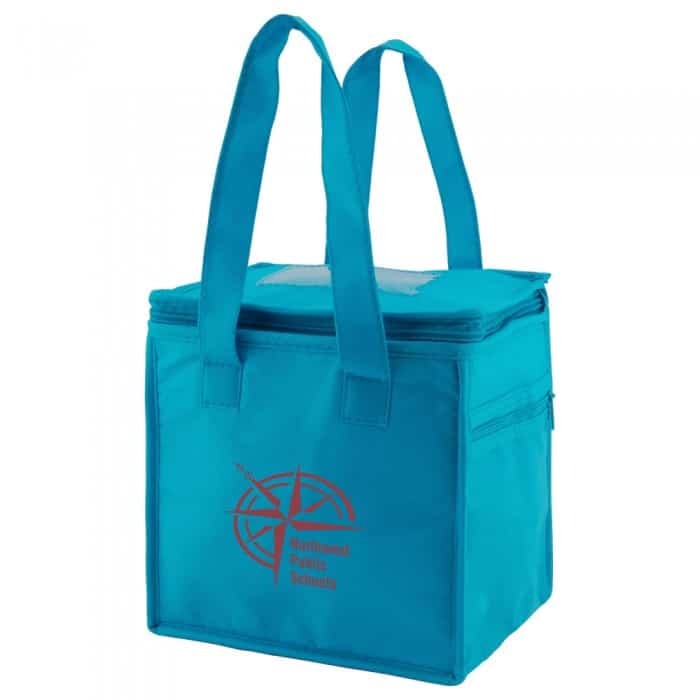 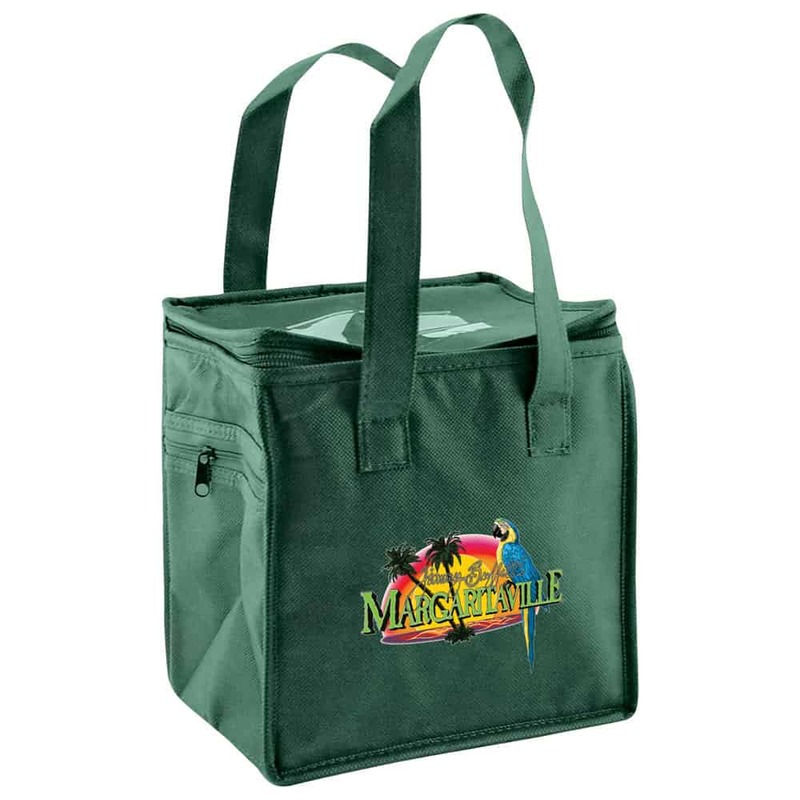 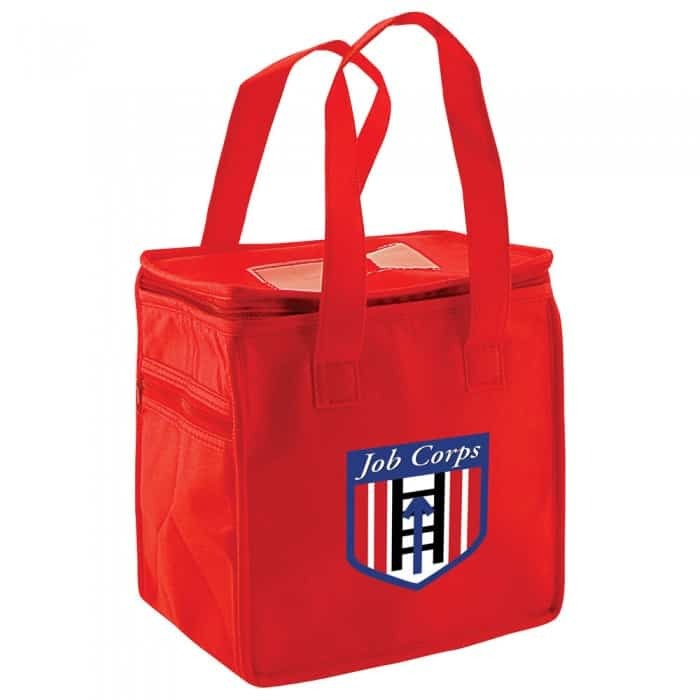 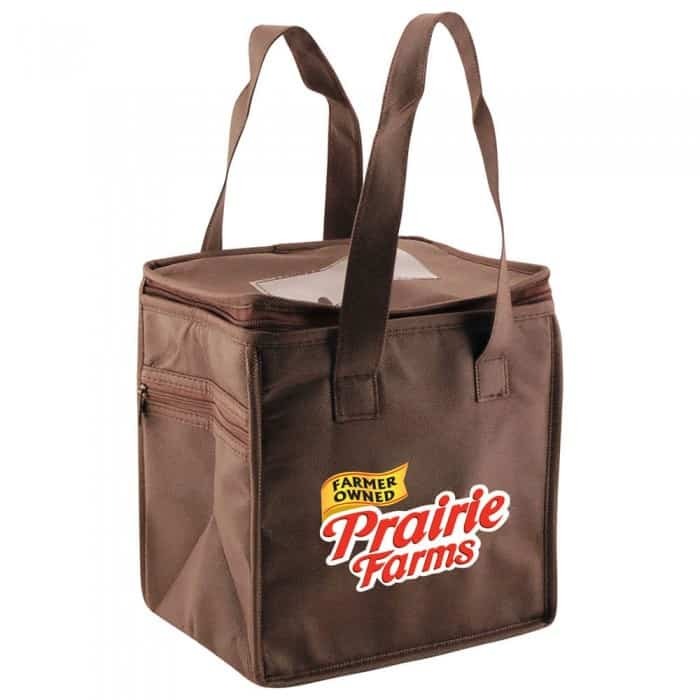 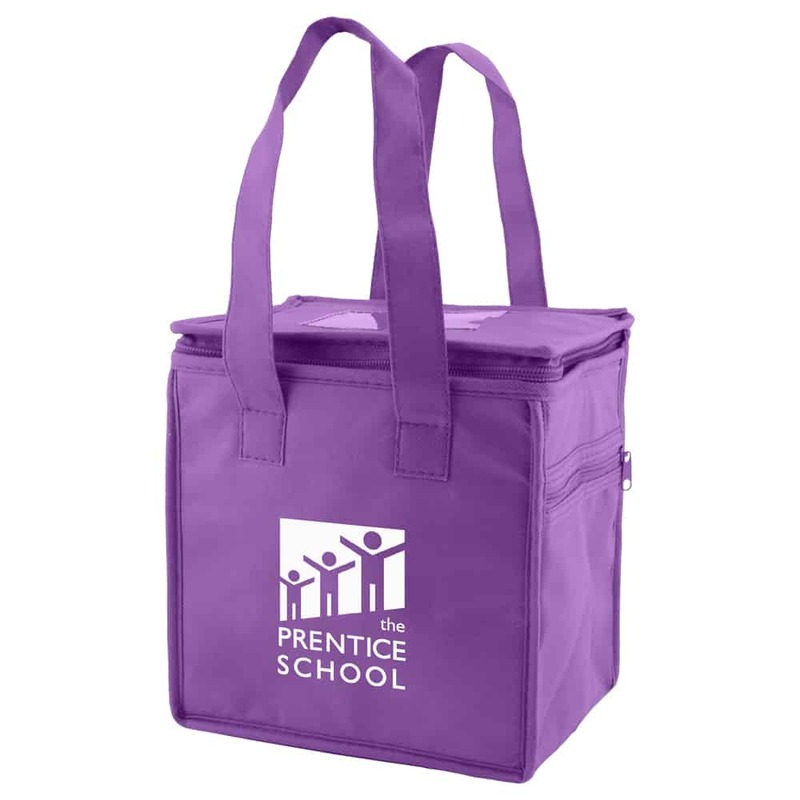 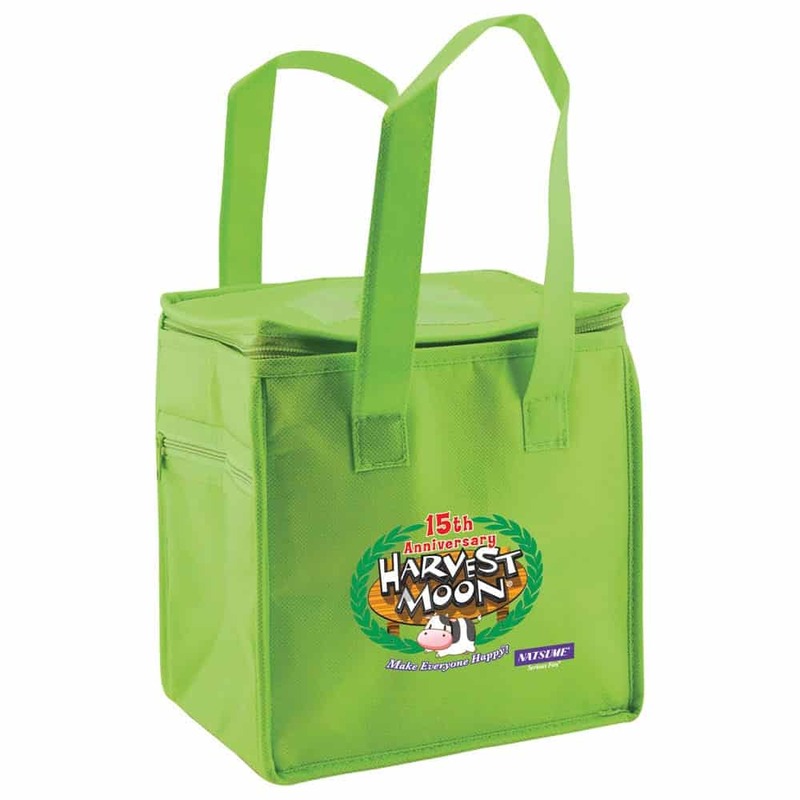 Made of 80 gsm non woven polypropylene this thermo lunch tote is a smaller more compact design ( 8” wide x 6” deep by 8.5” high) than our standard sized thermo totes. This tote bag features a zippered top closure to help keep your items inside at a consistent temperature with thermal insulation. 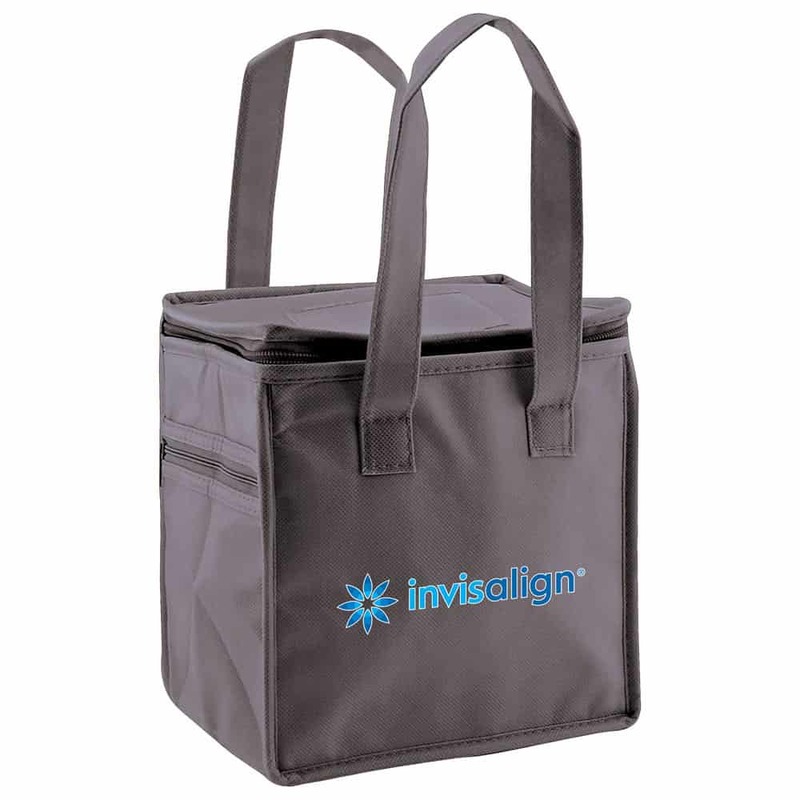 This bag also features a side zipper pocket and a clear ID pocket holder (3.5×2) sewn in on the top, perfect for a business card or nameholder. 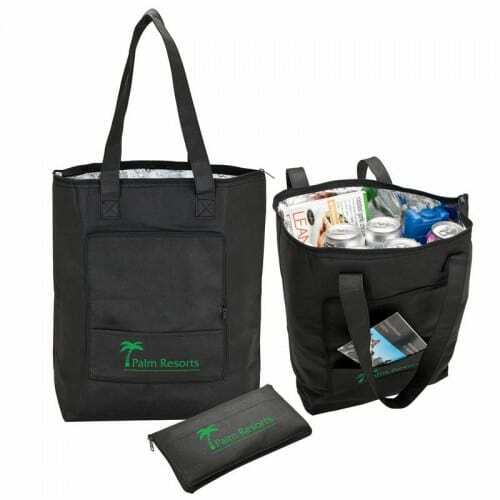 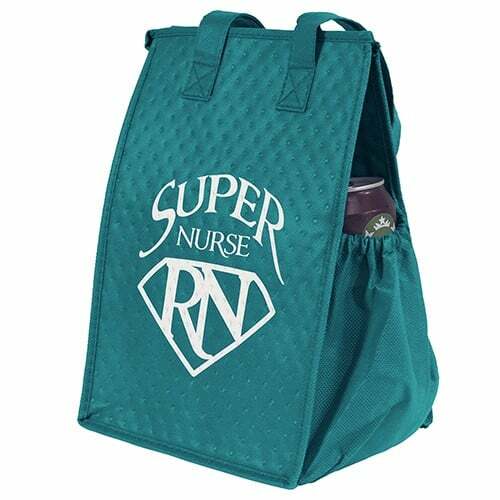 Imprint your logo, anything from simple one color artwork to full color process, and advertise your business on a bag that will be used time and time again. 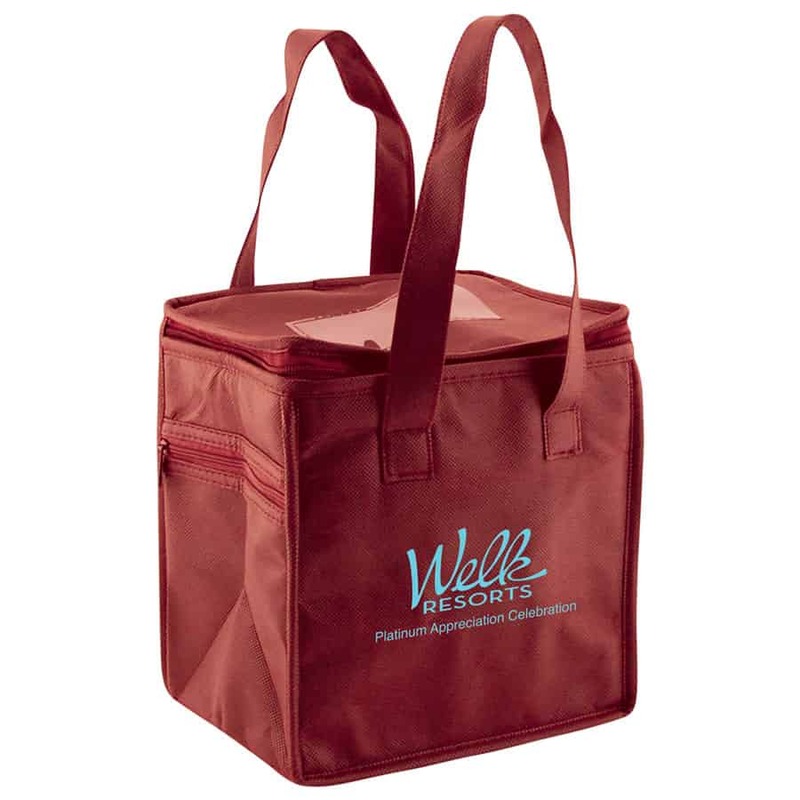 Available in 15 solid colors and 4 two tone colors ( SKU#: 2TTL0808). Art cannot have more than 50% ink coverage and second color silkscreen is not recommended. 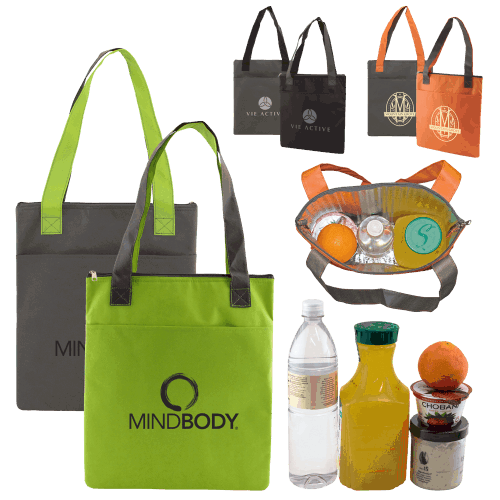 For two colors or more use the multicolor pricing. 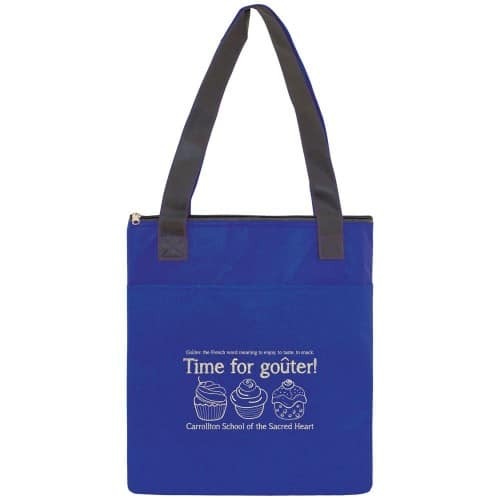 Additional Silkscreen imprint: add .40 cents per bag for any additional colors or different copy on each side. For over 2,000 quantity, please call for pricing.